NEW VERSION - EVEN BETTER AND MORE DURABLE - NEW UPDATED CONTROLLER & MOUNTING BRACKET INCLUDED! Selfsat Snipe Version 2 fully automatic flat satellite antenna - The compact construction of the Selfsat Snipe 2 takes up very little space. It is ideal for mounting on the roof of a caravan or motor home. The annoying hassle of aligning in a new location is obliterated thanks to the integrated GPS module and electronically controlled drive which determines the correct position automatically at the touch of a button. 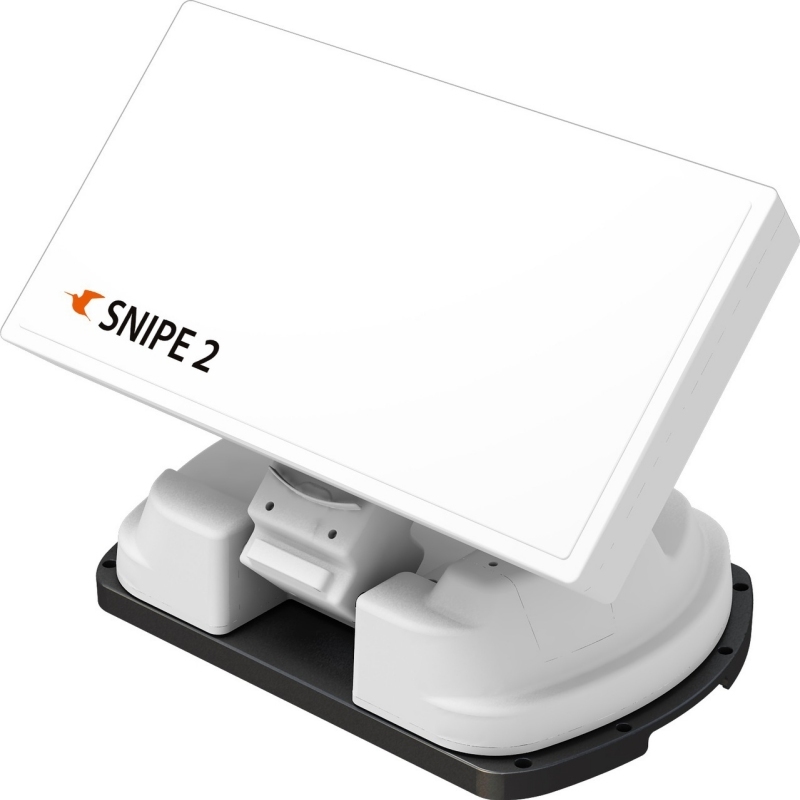 Despite its small size the Selfsat Snipe 2 provides good reception due to its three-layer structure with wave guide horn array function. Horizontally and vertically polarized signals are routed separately and bundled on the LNB. The result: A strong signal to the LNB. 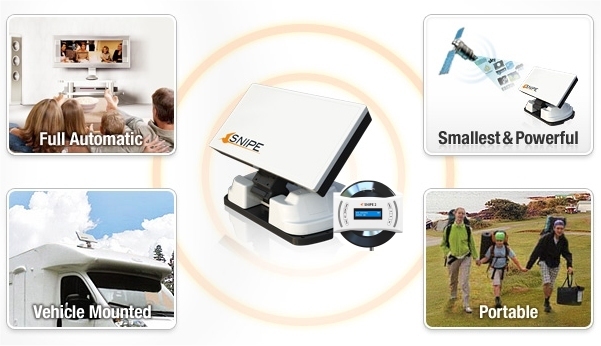 The Selfsat Snipe can be used with most satellites over Europe such as Astra, Eutelsat, Hotbird and worldwide. The Selfsat Snipe offers fully automatic positioning. With its built-in GPS receiver the GPS data is collected and evaluated. The exact position of the antenna is automatically calculated resulting in quick and highly efficient alignment. New Construction: No mechanical damage when lifting the antenna. Improved Home position including locking system ensures a firm and secure grip while driving. New Mechanics: The durability of the transmission has been greatly improved by the use of die-cast aluminum. New Motor: The new powerful motor, reinforced with a 18:1 ratio, has a high torque and provides for the alignment of less noise. New Controller: The new controller can store up to 13 satellite positions and with it's LCD display all information is displayed easily and clearly. Firmware updates can now be performed directly on the controller with a USB stick without the need of a PC. Click the button below to add the Selfsat Snipe v2 Single LNB Automatic Flat Satellite Antenna inc Mount to your wish list.